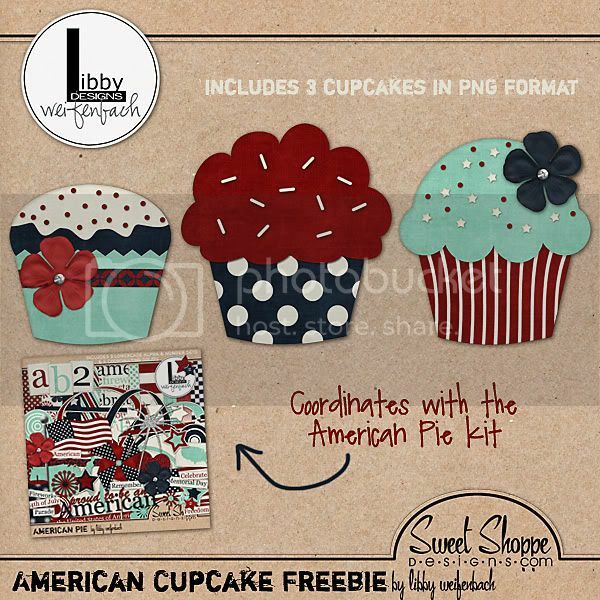 I had a totally fun request this week for a set of cupcakes to match my American Pie kit. I so rarely do freebies that I thought this might make a fun little give-away! I hope you enjoy it! And thank you Laura for the idea! Thank you so much , these are just adorable and I plan n getting your kit this next week. I love the color combination in it. Thank you so much for this Freebie. I want to let you know that I posted a link to your blog in Creative Busy Hands Scrapbook Freebies Search List, under the Food/Kitchen Related, Recipe Card(s) Theme post on May. 29, 2009. Thanks again. Cute, cute, CUTE!!!! Thank you! Thak you for the cute cup cakes. Thanks for the cupcakes! Yummy!